Editor's Choice Jan. 2019 - This is a tale of two men whose lives bear eerie similarities and striking differences as well as pre-existing elements of conflict and struggle. This belongs on every dog fancier’s bookshelf. One of the NetPlaces Network's most valuable writers, Fred Lanting is an AKC, UKC, and International All Breed Conformation Judge whose opinion is also eagerly sought on Performance and Obedience including Schutzhund, Sieger Shows and Landesgruppen events. As a breeder, Lanting is known world-wide as "Mr. German Shepherd." A prolific author, he's been published on subjects ranging from Canine Hip Dysplasia, Orthopedic Disorders, Anatomy, and Training Techniques. 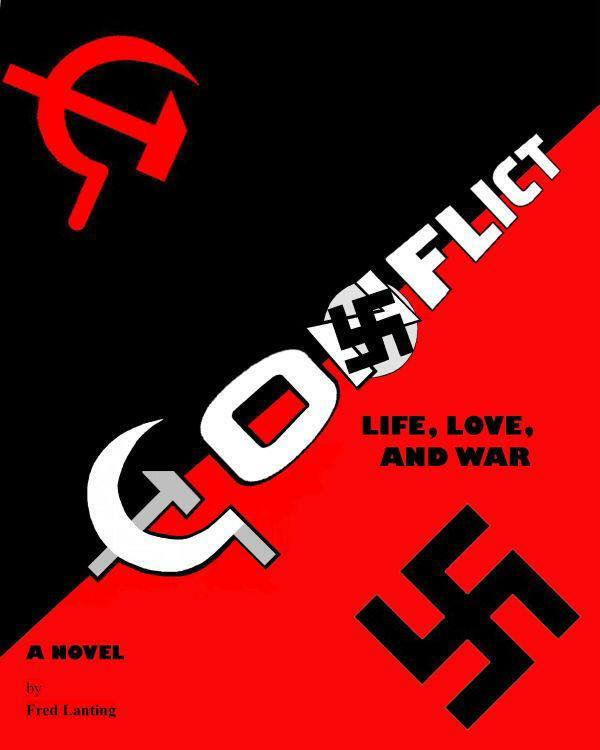 Conflict is described as "the American War And Peace". It has been a best seller among intellectuals at $35 but in January 2019 we asked Fred if he would be willing to discount the book by 20% for TheDogPress.com subscribers and he agreed! 2019 special rate is $28 (plus $4 S/H). Drawing on his background as a writer, poet, and former college instructor, as well as memories of WW-2 and Korea, Fred chronicles the life of a man in conflict. Col. Stan Thomas. A pacifist who becomes a war here, a man deeply in love who loses his young wife, a soft-spoken academic with nightmares and secrets about the men he has killed, Prof. Thomas lives a quite public life, and tries to maintain and arm's-length (at least) relationship with a philandering preacher whom seems to have some disturbing Doppelganger similarities. Be sure to mention you are a subscriber to TheDogPress.com to receive the 20% discount.